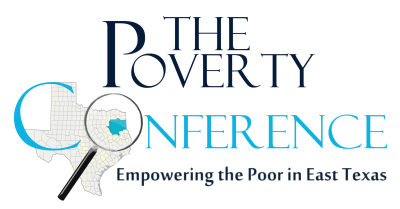 The first Poverty Conference was held on October 15, 2013 in Longview. Spearheaded by Dr. John Feezell, community organizations such as Workforce Solutions East Texas, the East Texas Council of Governments, LeTourneau University and the Junior League of Longview were instrumental in laying the foundation for the gathering. 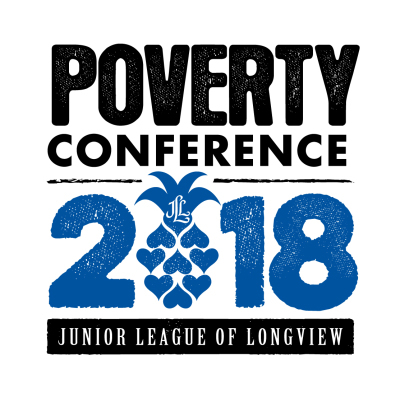 Poverty is a significant issue in the 14 counties of East Texas with poverty rates between 15% and 17% in general and poverty rates among children between 25% and 30%. These figures represent individuals who must deal with poverty daily. The rates suggest broad economic and social implications. Reducing these rates is the current focus of many private and public organizations in the area. practical, person-empowering, poverty-reducing/wealth-creating solutions for East Texas.